We run to the barbershop to get a trendy haircut when our hair becomes unkempt, or we feel that we’re starting to look like a caveman. It's one of the most important places that we go to, the quintessential pampering station for the well-groomed man. 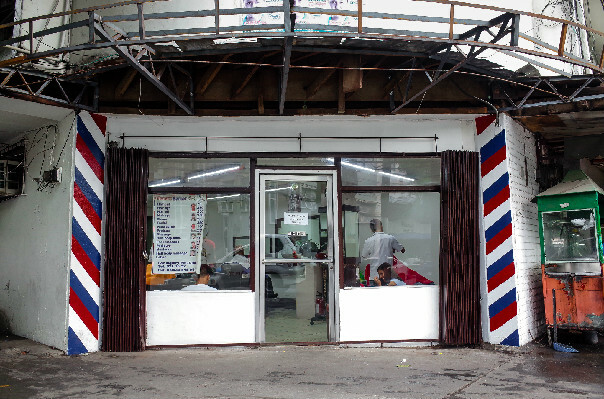 Today, barbershops aren't just places where you get your 'do. They've evolved to offer other men-centric services. High-end barbershop Felipe & Sons even offers tailoring services. 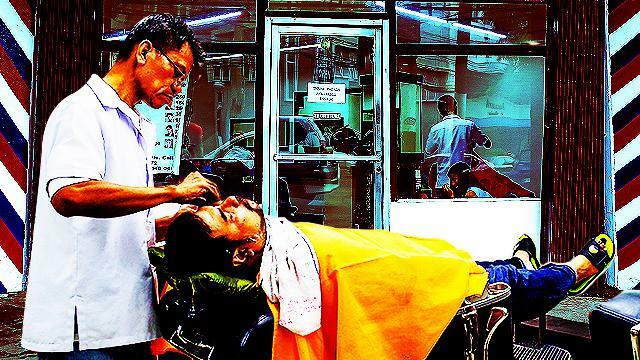 Before these places evolved though, there were street-side barbershops—hole-in-the-wall grooming centers that focus on the essentials, that is, making you look good. To find these places, we went to Malate in Manila. We took the route from Apacible Street then to Zamora Street down to Maria Orosa Street and dropped by at these nostalgic establishments. We found three, Let's start off with the oldest. This barbershop started in the early ’50s with the name "California Barbershop." 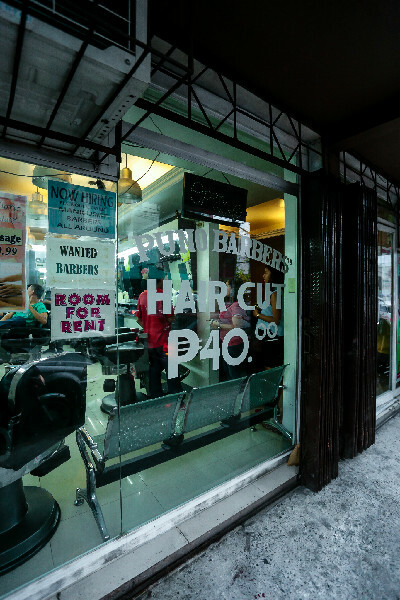 It is now known as Charlotte’s Barbershop located at 940 Apacible St, Bgy 676, Zone 073 Ermita. The current owner, Sally Dweñas, 50, told us that the barbershop was first owned by a person named Mendoza. After a few years, it was up for sale and was bought by a German known only as Bomann. The name was changed to "Peter’s." Thirty years after, Bomann sold it to a person named Yumang. The name again was changed into Del’s Peter’s. In 2009, Sally bought the barbershop and named it Charlotte. 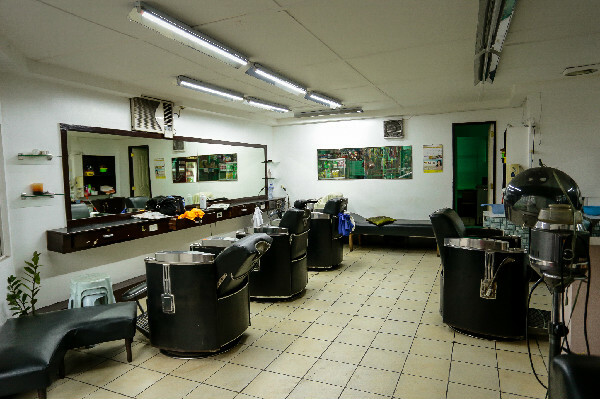 Luis Mabatid Jr., 62, has been with the barbershop for 15 years now and saw most of the changes it has undergone. “Sa una, may 20 ka-silya ito. Tapos binenta ang kalahati. Nung ni-renovate, ito [a four-walled room with five upholstered chairs] na lang ang natira. Pinalitan na rin ang mga salamin kasi marami nang mantsa,” he said. 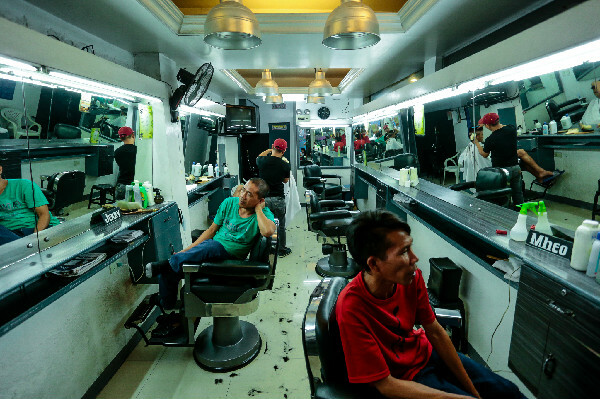 When asked about the difference of the styles of haircut before and now, Mang Luis had this to offer: “Sa ngayon, marami nang mga teenager na gusto yung tinatawag na 'mohawk,' dati mga 'flat top,' 'raw cut,' 'German cut' lang ang mga lumang gupit. Mga gusto ng estudyante dati 'military cut.' Nung i-abolish ang pagiging compulsory ng ROTC, nagpataas na ng buhok. Nawala na 'yung mga military cut, natira yung mga sinabi na marine style." "Ngayon, mga teenager, kahit ano lang ipapagupit eh. Hindi mo na maintindihan,” he jested. 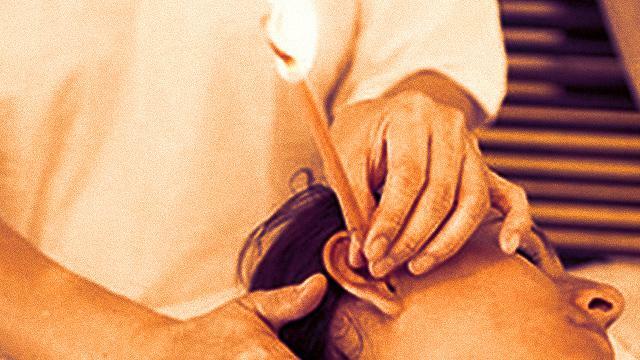 Charlotte's have all the services a man needs for pampering such as hot oil, facial [peel off and mudpack], hair coloring, massage, and a lot more. 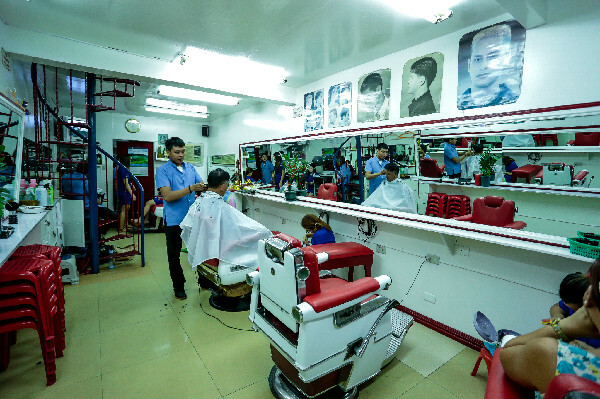 The second oldest joint in the area, the "Puno Barbershop," is located at 1559 Penafranca St., Paco, Manila. 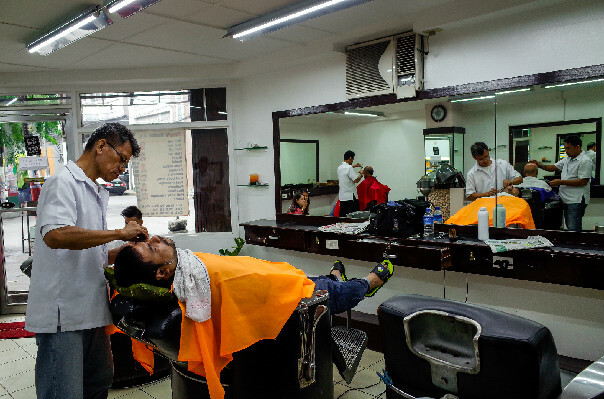 Romeo Buhadores, the shop's oldest barber said that it started in the early 1970s. 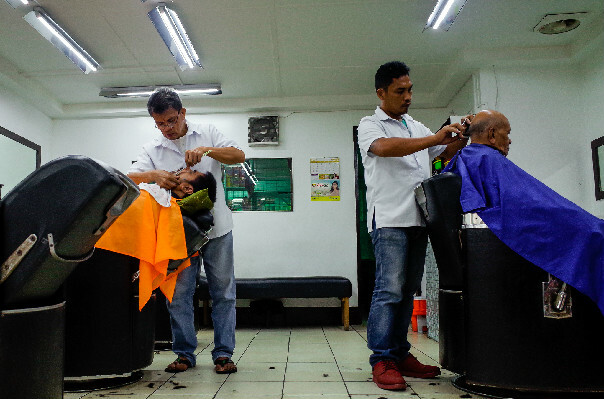 Mang Romeo said that this is the only barbershop he's worked for since he arrived in Manila. “Itong building na ’to, dati kahoy lang ito tapos ngayon ginawang building na, inayos na nila. Dati kulay pula itong upuan ngayon naging itim na. Puro kahoy kasi—lumang-luma na, mga pintuan namin kasi mga kahoy din. 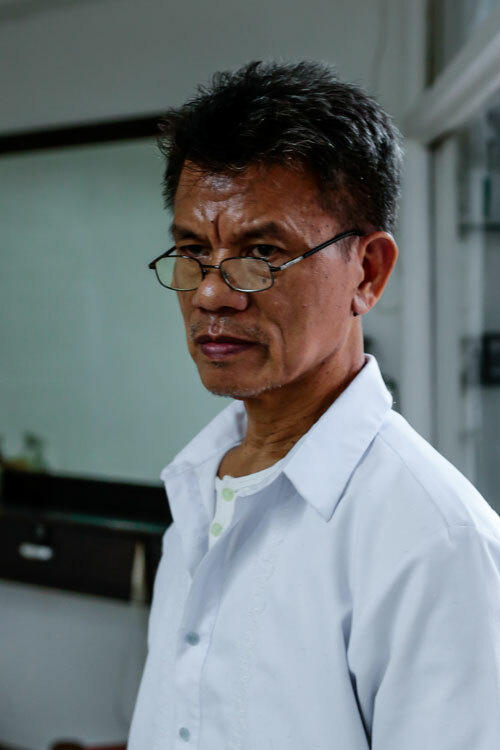 Tapos mga ilaw sa kisame, isang diretso lang na ilaw [fluorescent light]. 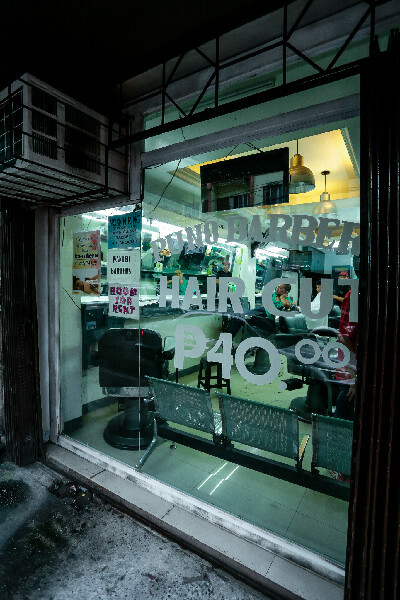 Iyung mga barbero dati na kasamahan ko, mga wala na rin. 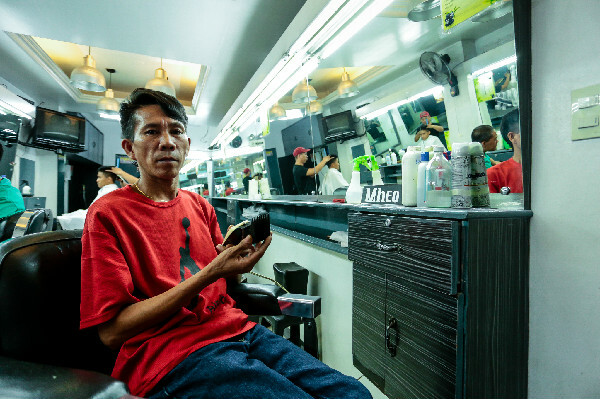 Yung iba mga patay na kasi mga matatanda na rin," shared 47-year-old barber. 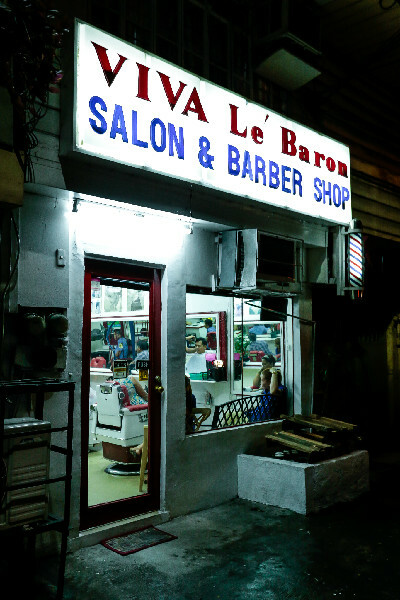 A quick glance at their facade, especially their flurescent signage, was all we needed to date the third barbershop we visited, "Viva Lé Baron Barbershop" on Ma. Orosa St. Like rollerblades and anything Girbaud, it screamed "Batang '90s to-its." And guess what? It gets more '90s-trippy inside. Strangely enough, she never told us what "Baron" stands for. We could've pressed her to explain further but the thought floated away, lost in the Mabuhay Loreta Ermita ("tapos Baron")'s interiors. 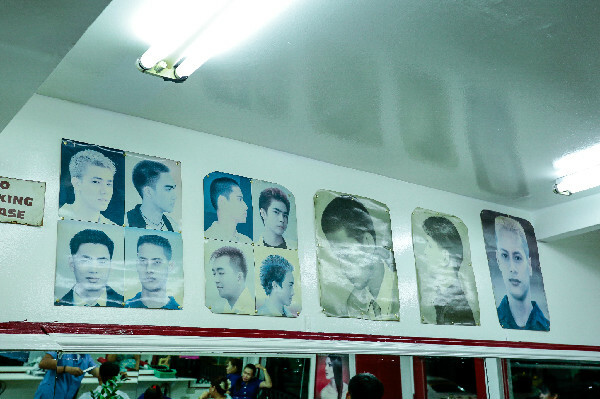 Suddenly we were kids again, waiting in line for Manong Barbero to call us, a stool propped on top of his chair, our hair ready to be cut like those of the male models whose pictures decorate the walls. “Depende lang sa customer kung gusto magpalagay ng gel o spray net [BING! SUPER '90S TERM ACHIEVEMENT UNLOCKED]. 'Pag may lakad, gusto nila naka-set na 'yung buhok. Pero kung mga simpleng gupit lang, hindi na. binabasa lang ng tubig yan tapos i-ayos mo lang yung buhok,” added Mang Romeo. VIVA basically offers the same lineup of services as their older counterparts, except they've also mixed in hair rebond, manicures, and pedicures. Indeed, we shot back. When it comes to looking good, you'll sometimes need experienced pros—people who've devoted a big chunk of their lives to making other people feel good about themselves. Mixing in a few jokes and fantastic anecdotes (read: Kwentong Barbero) wouldn't hurt. In the end, it's all about comfort and satisfaction—in their skills, their stories, the feel of the cushion on your buttocks, the "Uy, ganda gupit ah" compliment from your family and friends. 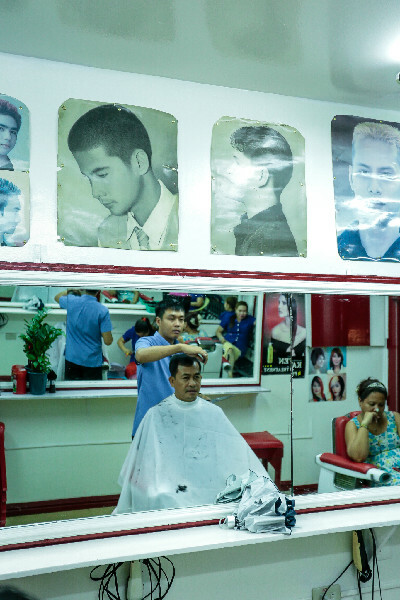 Here's hoping old-school barbershops like these three will continue to thrive.